(6 Pack Value Bundle) FEL9252001 PlushTouch Mouse Pad with Wrist Rest, Foam, Black, 7-1/4" x 9-3/8"
(6 Pack Value Bundle) FEL9252001 PlushTouch Mouse Pad with Wrist Rest, Foam, Black, 7-1/4'' x 9-3/8'' by FEL9252001 at Kool Heads. MPN: FEL9252001. Hurry! Limited time offer. Offer valid only while supplies last. The Softest Place Your Wrist Can Rest. Innovative FoamFusionTM technology provides superior comfort and softness to help relieve wrist pressure. The Softest Place Your Wrist Can Rest. Innovative FoamFusionTM technology provides superior comfort and softness to help relieve wrist pressure. Microban® antimicrobial product protection. Nonskid backing. Soft, breathable material withstands daily wear and tear. 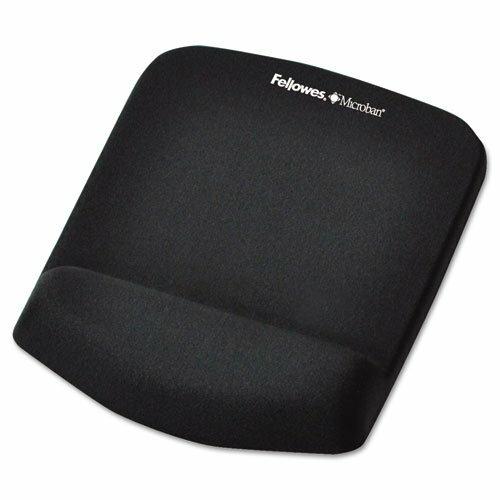 Wrist Filling Material: Foam Fusion; Mouse Pad/Wrist Rest Type: Mouse Pad/Wrist Rest; Color(s): Black; Theme: Solid Color. If you have any questions about this product by FEL9252001, contact us by completing and submitting the form below. If you are looking for a specif part number, please include it with your message.